Good shower and good bed. Perfect location for an early flight. Easy access from the shuttle bus. Quiet and convenient. Reasonably priced. Great location for south and north terminal Gatwick. Bed was comfortable but can be noisy at night with banging doors. Staff were really friendly and helpful with any queries. Great for walking straight to Gatwick south terminal. Hotel location was good for me: at a walking distance from the terminal. The reception staff were very friendly, particularly at one o'clock in the morning. The location at the South Terminal was the main purpose of booking this hotel due to our late flight. Very quick and easy to access. The room was all set up with a toddler crib as requested. Clean and comfortable. It was handy to do the express check out too, saved time for our early flight. 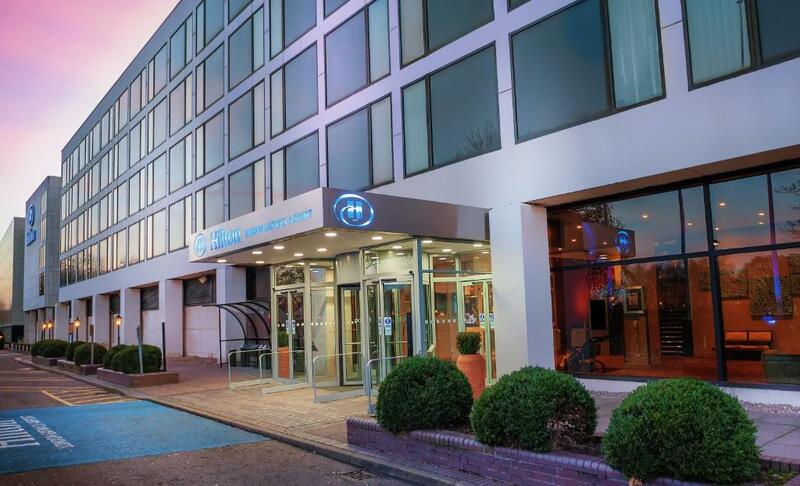 One of our top picks in Horley.Hilton London Gatwick Airport offers air-conditioned, soundproofed rooms and a 24-hour fitness centre. Hilton London Gatwick Airport features 2 bars and a Costa Coffee shop. 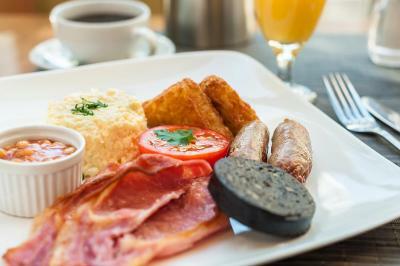 The Garden Restaurant serves breakfast and an evening buffet, whilst Amy’s Restaurant offers intimate modern dining. Hilton London Gatwick Airport has been welcoming Booking.com guests since 26 May 2007. Spacious room with armchair, foot-stool and large walk-in shower. This air-conditioned room features an en suite bathroom, a flat-screen TV and a minibar. House rules Hilton London Gatwick Airport takes special requests - add in the next step! Staff rude. Upgrade was not worth the money. Dated hotel, apparently it was the first airport hotel in the UK and it shows. Carpets are tired and it’s advisable to not look at the little details in the room. Restaurants are not good value and every single chair or sofa in the bar had seen better days. I recommend eating before you arrive. It’s a good place to sleep, not much else. I booked 2 rooms for one night and found the difference baffling. One room had bottled water, dressing gowns and slippers while the other had none and we found that the wall lights in one of the rooms didn’t work unless the main light was on which was rather irritating at bed time. The rooms didn’t quite looked finished ( see under sink photo, visible when sat in bath) either and could do with upgrading in areas. Desk chair in my room was in an appaling condition. Though the rest of the room was clean, it made you feel unconfortable. Fought to find a wall plug to make some coffee on the provided kettle, away in a corner behind a chair, and pulling over a table to hold the tray. Room wasn’t as clean as it should have been, Bathroom old... carpet moths I saw 4!